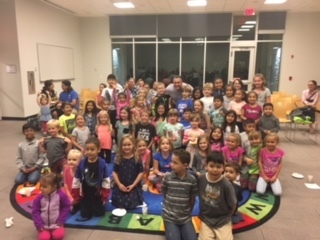 Dr. James Tohme, Principal at the School of Dual Language, read to children at Aspen Drive Library on September 27. It was clear that the children enjoyed the reading. All Hawthorn District 73 elementary school principals are reading favorite stories at the library to celebrate their love for reading. Hurricane Harvey School Support Event Attendance Week – Dual is in the Top 10!